Bless is a stunning fantasy MMORPG on Steam created in Asia and re-engineered for the West. Bless allows you to seize control of a world featuring epic landscapes, a new monster taming system, thrilling action-combat, punishing dungeons & raids, 100v100 Castle Sieges and more! Early Access for Bless will be opening up at 10:00 AM PDT on May 30th, 2018. Those who purchase a founders pack will be able to start playing 2 days earlier on May 28th and 10:00 AM. 1. 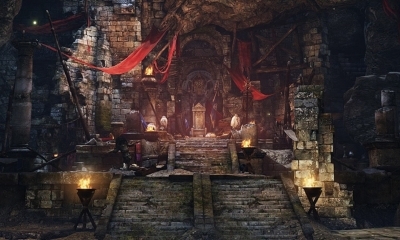 In Bless Online leveling guide, we mentioned that Dungeons is an effective part of leveling. Right here, U4gm will primarily be covering the basics rather than anything advanced or too detailed. In our Bless Online leveling guide, we mentioned that Dungeons is an effective part of leveling. Right here, U4gm will primarily be covering the basics rather than anything advanced or too detailed. 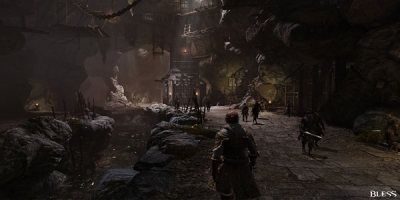 Bless Online, the game offers the variety of contents such as RvR battlefield PvP, dungeon exploration, field raids, monster taming, and much more.